It is not unusual for the pains to start in a localized area of the body (e.g., lateral aspect of the ankle following sporting injury) (43). The pains quickly intensify and there is reluctance to mobilize. 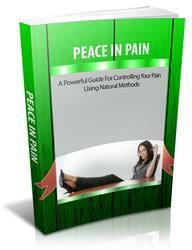 Often the painful area expands, radiating in time to involve larger areas of the body. In describing the pain, words such as "stabbing, throbbing, burning, or aching" are used. The discomfort increases and becomes constant. As the pains continue the young person shies away from using the area of body affected, this leads to muscular spasms, odd positioning or gait, and greatly reduced fitness. This in turn further amplifies the pain. 1. Hypersensitivity and allodynia: Allodynia describes a hypersensitivity that is significantly more than the initial insult would indicate. Young people describe unbearable pain with minimal skin contact. Often they do not allow any touch and, when severe, do not wear clothing over the affected area. Some young people cannot even bear a draught. 2. Perceived thermodysregulation: Young people complain of feeling cold, even in warm climates. Limbs are particularly cool and mottled. Occasionally there will be areas that are very red and hot to touch on a background of the mottled skin. This mild thermodysregulation is in no way life threatening but can cause misery and be compounded by reduced movement and poor sleep. There may also be an abnormal perception of temperature (44) with an increase in thermal pain sensitivity (45). 3. Autonomic dysfunction: Pain is a powerful stressor. 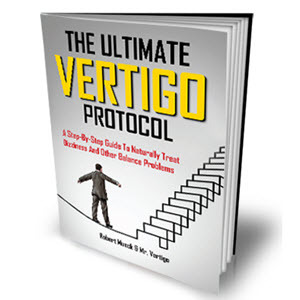 Continuous pain signals, immobility, and fatigue act directly on the autonomic system (46). In an environment of physical and emotional anxiety the sympathetic system is more active. This leads to tachycardia, hyperventilation (compounded with panic attacks), cold sweats, blurred vision, abdominal pain, and extreme pallor. Nausea, dizziness and occasional blackouts are other generalized symptoms that are not uncommon. 4. Musculoskeletal disequilibrium: Pain is a powerful sensation that stops us from moving or touching an affected area. When a painful limb is not moved, the brain has an altered image of that area. Proprioceptive signals from the joints are reduced and the limb is held in a rigid, fixed position. It is not unusual for legs to "give way," knees and hips to be held flexed, feet to be inverted and hands clenched with flexed wrists. These positions are often described as the most comfortable. Unfortunately muscles and tendons quickly tighten, and this complicates the pain and disability. One must also remember that these young people are still growing, often in their peripubertal growth spurt, and this can have dire effects on the final positioning. During pain flares young people may describe blurred vision, nausea, dizziness, blackouts, hyperacusis, and extreme cold. Conversion symptoms such as paralysis, blindness, loss of speech (or hoarse voice), or bizarre gaits are also not uncommon in this population.